Club Tabou have been creating their own unique brand of hot swinging Gypsy Jazz for several years now, incorporating the style first implemented by the coming together of Django Reinhardt and Stéphane Grappelli. Playing at festivals and venues up and down the country, Club Tabou can be found promoting the Gypsy Jazz sound to the masses. Based in Surrey and Sussex they cover a wide area and are willing to travel. 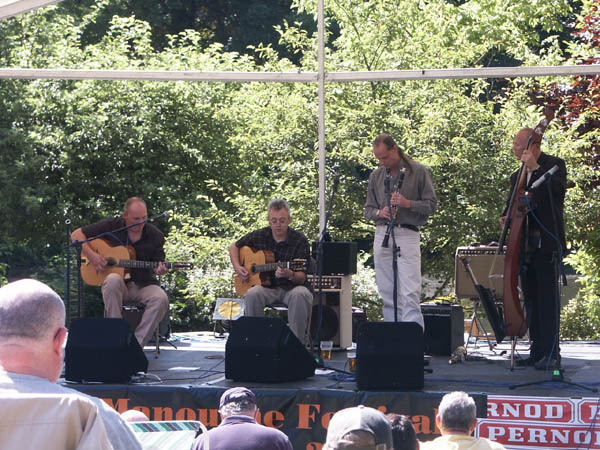 The main line-up consists of two guitars, clarinet/soprano sax and double bass, recreating the authentic sound that was epitomised in the 1930s and 40s by Django Reinhardt and the Quintet du Hot Club de France. A multi instrumentalist, Brian is the spiritual leader of the troupe. He discovered Django’s music at a young age and this has led to a life long passion for the style. 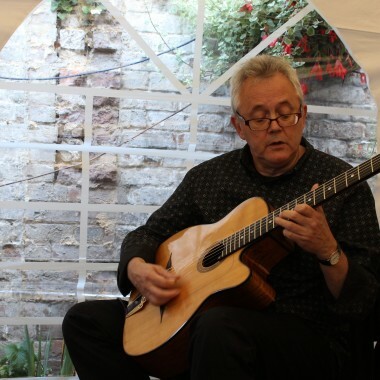 A full time musician and music teacher Brian has brought the study of Gypsy Jazz to a new generation of guitarists with his enthusiasm and love for the music. In his time he has recorded with Peter Green and Dr John. 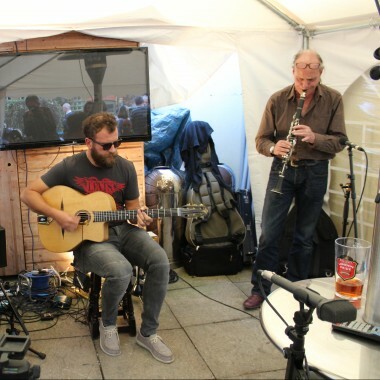 Charlie is the most recent arrival to the Gypsy Jazz scene but has soon spotted the differing styles incorporated within the style and embraced the music as a new challenge. Coming from a ‘free jazz’ background, Charlie has brought a high level of musicianship to the group keeping them on their toes and taking the group to places they never thought to approach. The second multi instrumentalist in the group, Andy is just as happy playing guitar or trombone but gracefully lets Steve and Brian indulge their fantasy of being guitar Gods. Andy has always held the group together both physically and mentally keeping everyone on an even keel when the rabbit in the headlight moment approaches. Andy also plays in a mainstream jazz band when Club Tabou dates permit and has recorded and performed with numerous groups over the years.